updated on October 29, 2014 July 17, 2012 by admin1 Comment on What is Neuroleadership? What do you get when you apply the latest in neuroscience to the practice of leadership?… Neuroleadership of course! Our understanding of how the brain works has advanced so much and traditional leadership schools have failed to keep up. We now know how to uncover the unconscious patterns that are driving behaviour. And since our behaviour determines our results, we now have the ability to make changes in the patterns and programs that are running outside of our awareness, so that the new desired behaviour is created instantly and sustainably. Neuroleadership involves advanced communication techniques using intentional language tools and leading edge non-verbal cues. Neuroleadership also includes methods for controlling our emotional state so that as a leader, we can self-manage no matter how challenging the situation. In neuroleadership we elicit a leader’s values, beliefs and metaprograms – the three most unconscious of our unconscious programs – so that we can determine where the programs are going awry and change them to achieve the desired results. 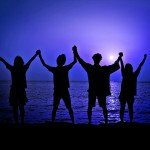 Neuroleaders benefit from the revolutionary programming techniques using submodalities to eliminate an unwanted behaviour, rewire a limiting belief into an empowering one, take the charge off a deep fear, and amplify and install a goal. Understanding how the brain works to produce results, the principles of neuroleadership ensure desired outcomes are achieved. Neuroleaders make decisions quickly because it takes 10x more energy to sit on the fence and “decide not to decide”. Leaders calibrate on specific negative and positive emotions in order to decide to go for it. In neuroleadership, leaders are relentless in their focus on what they want, because they know that focusing their 90,000 thoughts a day produces results. They commit to a goal by taking action, meaning they invest time, money and energy. And last but not least, in neuroleadership leaders know that failure equals learning and they celebrate a setback, then refocus on the goal and choose to do it differently. They do this by installing a recovery strategy at the unconscious level that allows them to bounce back quickly, an critical resilience trait in these unpredictable times. The result? By accessing the 90% of our brain that is normally operating outside of awareness, leaders can leverage the latest science in how the brain works, to ensure their leadership programming is running, rather than their old default survival programming. I’d love your feedback! Don’t forget to leave a link back to your own blog too if you have one, via the commentluv feature you’ll find here on the site.